Standing at Kewalo Basin I look out to Waikiki and the ever so famous Diamond Head (volcano crater) on the southeast coast of Oahu overlooking the Pacific Ocean in Honolulu, Hawaii. Overlooking an object in the water I choose to shoot the scene to 'possibility' depicting that the object is from some long ago sunken ship that wrecked on the reef. Whatever it was it was beautiful. 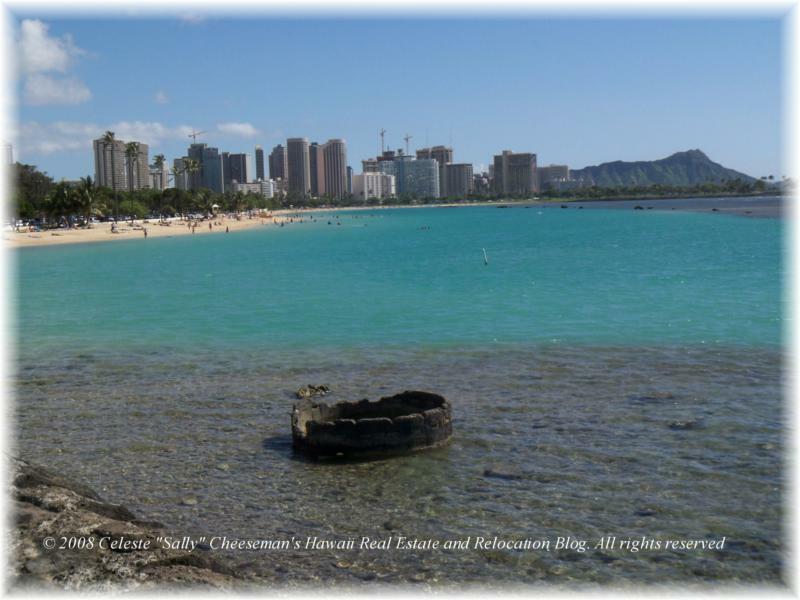 Diamond Head is towards east Honolulu and past Waikiki Beach. This monstrous crater is an extinct volcano from 300,000 thousand years ago and is 3,520 feet in diameter with a 760 ft. summit. 3 million years ago two shield volcanoes erupted. The very eroded remants of these volconoes are The Koolau Mountain Range- A Dormant Volcano on Oahu, Hawaii and the Waianae Mountain Range. 500,000 years ago the eruptions began along the Koolau rift zone and it is during this phase that the tuff cones of Oahu were formed. 300,000 years ago a huge volcanic explosion erupted from the flanks of the Koolau Mountains When the ash and particles that were flying in the air from the eruption settled it created the crater. They pretty much settled and cemented into the rock called "tuff"and therefore, Diamond Head is also a "tuff cone". Other tuff cones around Oahu from the same time period are Punchbowl Veteran's Cemetary and Kokohead. Originally named Laeahi (la eh a hee) by ancient Hawaiians it meant Brow of the Tuna. In the 1800's Laeahi was renamed by British soldiers who 'thought' that the glistening crystals in the lava rock were diamonds..and that there were diamonds in the soil. 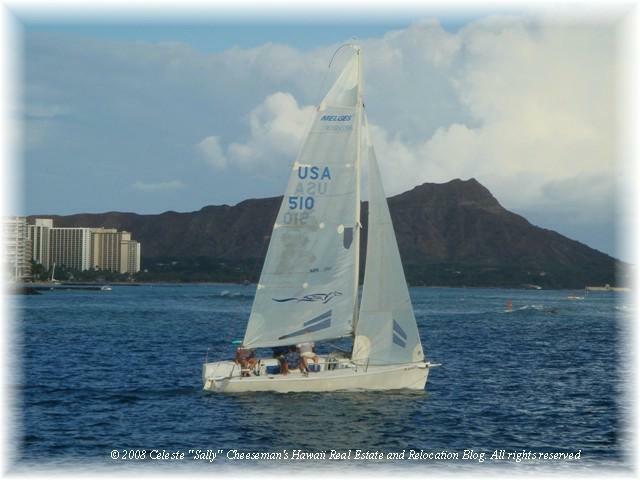 In 1989 Hawaii was annexed by the United States and harbor responsibility was a main priority. Fort Ruger occupied the Diamond Head Crater. A whole bunch of canons (hidden from sight) were inside the crater and protected them from enemy invasion. Then a tunnel was dug through the mountain to provide easy access into the Diamond Head Crater. Because of storms and other rain runoff, the Diamond Head crater ridges and gullies have deepened and it is estimated that 100 feet have eroded from the summit. Also, the erosion has been quicker from the milllions of feet that trample through the crater every year so please stay on the marked trail! The hiking trail will lead you to breathtaking views and well worth the hike!! Stay safe, stay hydrated and enjoy!